Demo DBX to PST Converter: Know It, Trust It! CONFUSED while choosing a DBX converter to Outlook? Here is a fine DBX converter, which will be an answer to your problem. Chill and relax! Don?t jump into the purchase straightaway as free trial gift is waiting to be explored. Just go for the option: Demo DBX to PST converter. The demo version will save only first 10 files of each email folder. After evaluating the quality of the software, buy the full version of DBX converter to convert whole .dbx files to Outlook .pst files. Provides with the opportunity to first experience and getting users trust for the valuable product. 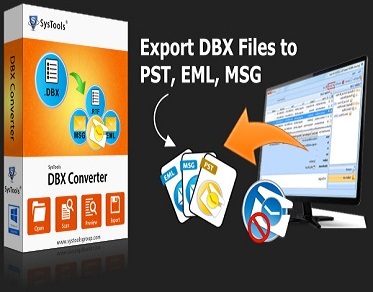 The program will convert DBX to PST files with ease. Works well along with saving work time. Quality efficient results in just few clicks. DBX converter to Outlook is a more efficient way to convert DBX files to PST. Proves good in conversion of backup files from .dbx to .pst. Supports all versions of Outlook Express, Outlook and also Windows. Along with it, the default data files can also be converted from .dbx to .pst.